The Australian Department of Health warning on breast implant-associated anaplastic large cell lymphoma (ALCL) underscores the importance of tracking the long-term safety of implanted breast devices. The federally funded Australian Breast Device Registry (ABDR), which is led by Monash University and currently being rolled out, is a national database that captures and monitors health outcomes of breast devices — breast implants, breast tissue expanders and acellular dermal matrix. Sydney-based general breast surgeon, A/Prof Elisabeth Elder, who represents Breast Surgeons of Australia and New Zealand, said patient well-being was the foremost priority for the clinical quality registry. “The ABDR is a national health initiative to provide surgeons and patients peace of mind that the long term safety and performance of breast implants are being monitored and tracked,” said A/Prof Elder. All craft groups performing breast device surgery in Australia: Australian Society of Plastic Surgeons (ASPS), Australasian College of Cosmetic Surgery (ACCS) and Breast Surgeons of Australia & New Zealand Inc. (BreastSurgANZ) are endorsing the ABDR. Additional stakeholders include: the Therapeutic Goods Administration (TGA); Commonwealth Department of Health; Australian Commission on Safety and Quality in Healthcare; Consumer Health Forum of Australia; and the Medical Technology Association of Australia ensuring full industry and health representation on the registry. More than 300 surgeons are currently contributing details of breast device surgery from 200 sites across Australia. The 10,000th patient recently enrolled in the ABDR. Less than 1 per cent of patients opt-out of the registry. The TGA issued the statement and recommendations late last year in response to more confirmed cases of the rare anaplastic large cell lymphoma in Australia. 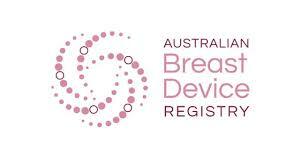 An estimated 20,000 Australian women annually are thought to receive implantable breast devices. A/Prof Elder encourages anyone considering having breast implants to check that their surgeon is participating in the registry. Surgeons wishing to be involved in the ABDR should register their interest on 03 99030205 or email abdr@monash.edu. The TGA statement can be read here.